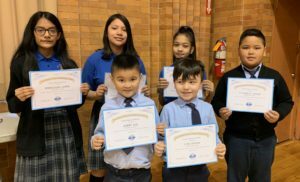 We congratulate our students who represented St. Athanasius Catholic Academy in the National Handwriting Competition. These students will now join thousands of other students from across the nation to compete to become State Grade-Level Winners, National Grade-Level Semifinalists, and Grand National Grade-Level Champions. We wish them the best of luck!